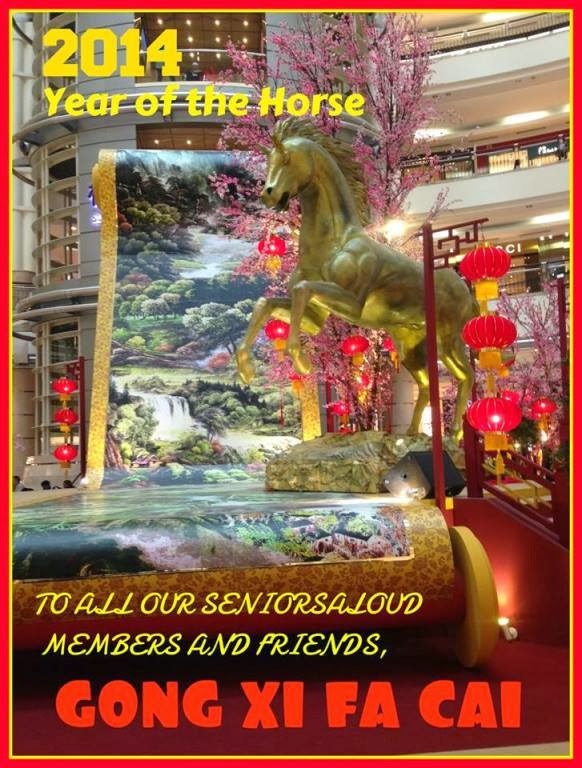 HAPPY CHINESE NEW YEAR to all seniors celebrating the festival, and HAPPY HOLIDAYS to everyone following our SeniorsAloud blog and Facebook page. May the Year of the Horse bring you good health, good fortune and good relationships. May our golden years continue to sparkle with rich blessings. Below: drum performance at KLCC to usher in the Year of the Horse. Enjoy.